The English are people who respect the finances and are not ashamed to have them. Of course, it is not a good sign to boast of them, but they still take into account the need for good funds management. That is why we have already mentioned the saying we have already mentioned in another article, “A fool and his money are soon parted.” Money management does not go through borrowing, it’s clear, because getting rich is not just a matter of luck, but also of work and right decisions. Out of debt, out of danger (Out of debt, out of danger). Or else, better not to afford anything than to be indebted and to be in trouble when paying with the creditor. Here is another proverb: Forgetting a debt does not pay it. In order to remain in the people’s memory, many people apparently did not pay their debts. And they probably got stuck on it because of the forebearring about the dangers of indebtedness. The English speakers are convinced of something Bulgarians know and say – If you do not work you will not eat. As a source of funds, they prefer honest work because otherwise you can get into trouble. But not so! There is always a group that does not respect morality, with what society considers to be fair. To them is the following wisdom: A rich man is either a scoundrel or the heir of a scoundrel (the rich is either a crook or heir of a crook). Such proverbs speak of a bitter life experience. Just like in Bulgaria! Along with the topic of wealth, the theme of poverty is going on. Not all are equally successful in life. A moneyless man goes fast through the market. And it is still known that Beggars can not be choosers (Beggars can not choose). The lack of money makes you take what people throw you. Which does not prevent some people from being poor or wanting things that are not done to them. Or, perhaps, dream. If wishes were horses, beggars would ride (if the wishes were horses, the beggars would ride) eg. it is known that desires do not in themselves give money, labor and foresight. Another proverb we have and we are telling us that the poor man takes what he is given and does not seduce – Never look a gift horse in the mouth. Dear friends, note that in the English language, when translating proverbs and wisdom, and in case we have a proverb with the same meaning in Bulgarian, we do not literally translate, but use the most prominent proverb. The literal translation comes when foreign wisdom does not have a Bulgarian equivalent. To understand the intricacies of one language, it is a good idea to go through training. 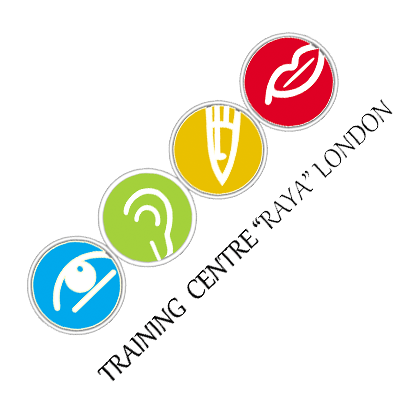 Training centre Raya London offers a variety of English language courses tailored to your needs and designed to help you find work and a fair pay. Studying English is your investment in the future, and we will mention a proverb that perhaps summarizes the methods of success of people who enjoy good finances – Nothing ventured, nothing gained.